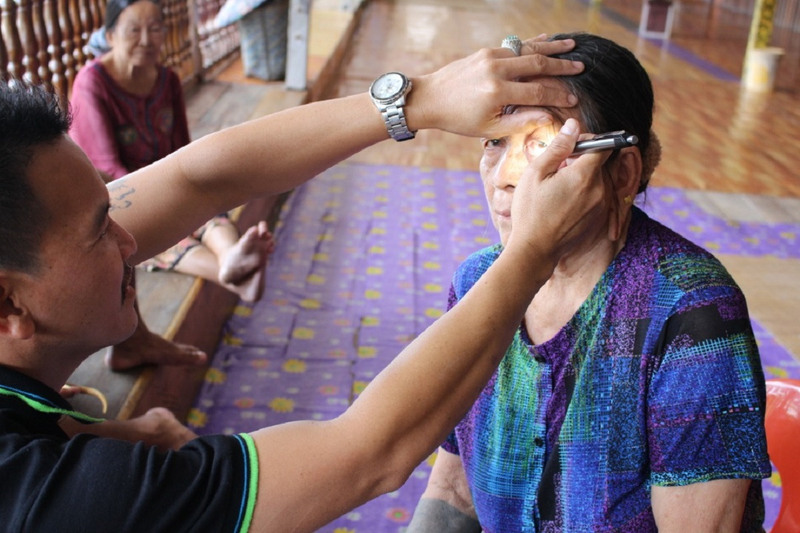 KUCHING, 22 MARCH 2019, FRIDAY: Some 50 villagers from the resettled communities of Sungai Asap and Murum will undergo visual rehabilitation for cataract assisted by Sarawak Energy and volunteers from Klinik Kesihatan Malaysia (KKM) Belaga and Sungai Asap. Carrying on from the success of its first CSR eye vision programme for Kapit and Baleh last year which saw 86 individuals benefiting, Sarawak Energy extended the programme to Sungai Asap and Murum beginning with a preliminary screening which was carried out over two days on March 8 and 9. The preliminary screening is to assess villagers who are suffering from visual impairment if they are affected by cataract and would need to undergo cataract operation. From Sungai Asap, 613 villagers turned up for the screening out of which 47 were referred for detailed examination. Whereas from Murum, 94 turned up for the screening of which five were referred for detailed examination. The mobile team of volunteers held the screenings at 15 longhouses at Sungai Asap and seven longhouses at Tegulang and Metalun Resettlement. By going to the community, the outreach programme shortens waiting time for those requiring the operation. 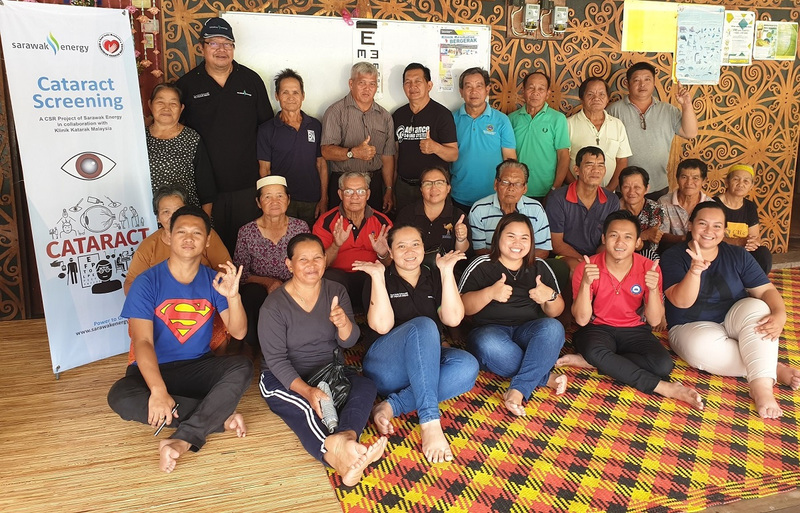 Jiwari Abdullah, Sarawak Energy General Manager for Corporate Social Responsibility and Sustainability, said, “Having this programme which aims to aid visual improvement of the communities is a worthy social investment. Cataract mainly affects the elderly and diminishes the quality of life and general functional living activities. “Nevertheless, cataract surgery is becoming more accessible and we are pleased to be able to extend this programme to the communities at Sungai Asap and Murum. Under this programme, the operation is free, and this can come as a relief for those who could not afford due to financial constraint,” he said. Sarawak Energy CSR Eye Vision Programme for Better Living in the Rural Community was awarded Gold under Best Community Programme category at the 10th Annual Global Corporate Social Responsibility Awards held in Lombok, Indonesia last year. Preliminary screening for cataract at one of the longhouses. The team of volunteers along with some of the villagers at the cataract screening at Uma Baha, Sungai Asap.